So many favorite holiday memories are tied to scent. Every time I smell gingerbread cookies, I remember making gingerbread men using a much-loved cookbook with my mom. I want to create this type of memory for my kids. 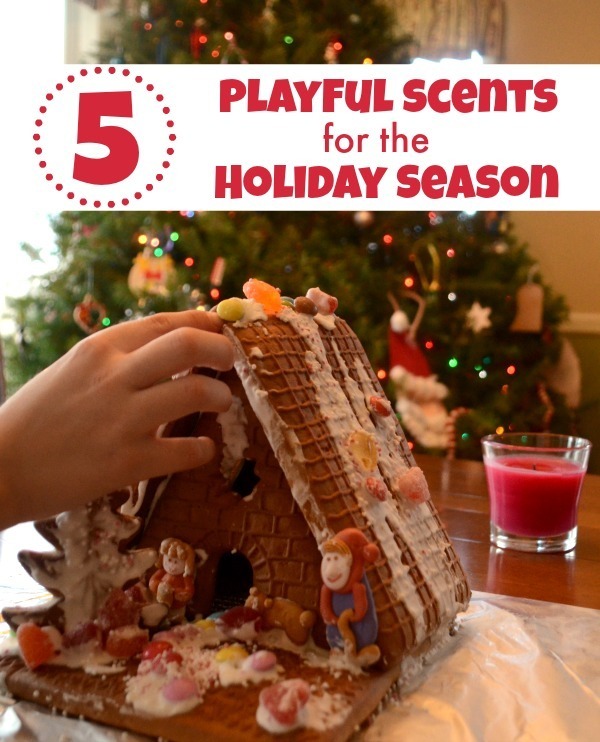 I am grateful to our sponsor, Glade®, for partnering with me to bring you five playful ideas focused on scent for this holiday season. Make Pomanders (oranges with whole cloves inserted): The scent of oranges and cloves combining smells festive. I made these when I was little, and it would be fun to do with my kids! Scented Play Dough: Get out holiday Christmas cookie cutters and decorate pretend cookies – try our edible Nutella play dough and you can even sneak in some nibbles! 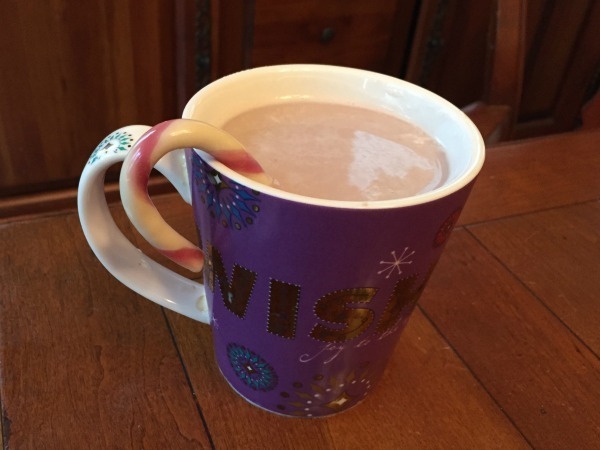 Hot Chocolate and Holiday Lights: Pull the kids on a wagon ride around the neighborhood, with thermoses of warm hot chocolate! 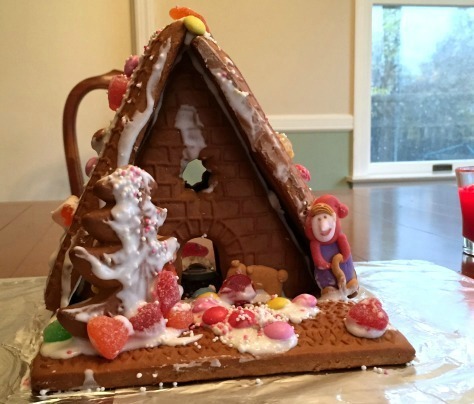 Decorate a Gingerbread House: We use a kit to make a gingerbread house each year, so there isn’t a very festive scent (but it’s a lot of fun!). This year we decorated our houses with a Glade® Under the Mistletoe scented candle nearby. With the Glade® candle, the room smelled festive and full of holiday cheer – and no baking was required from me! Popcorn and Christmas Movies: One of our yearly traditions is to pair big bowl of freshly popped popcorn with a family holiday movie night (usually The Polar Express. And yes, we also drink hot chocolate). We’ll have the Glade® Under the Mistletoe scented candle burning for many of these occasions – filling the air with a festive glow. Even my husband, who never notices things like this, commented that it was so nice to have a candle glowing during our activities! Are you excited about trying this candle, too? The Glade® Limited Edition Winter Collection, including the Glade® Under the Mistletoe scent is available exclusively at Target. Get a coupon to try it here! I’d love to know – What’s your favorite scent of the holiday season?